This program allows unlimited decompression wreck penetration to a maximum depth of 60 meters (during training). Like the other overhead programs, the training required for this type of diving requires high-level buoyancy control, finning techniques, laying line and the proper use of a light. You will also learn about a lost line, lost light and lost diver procedures. 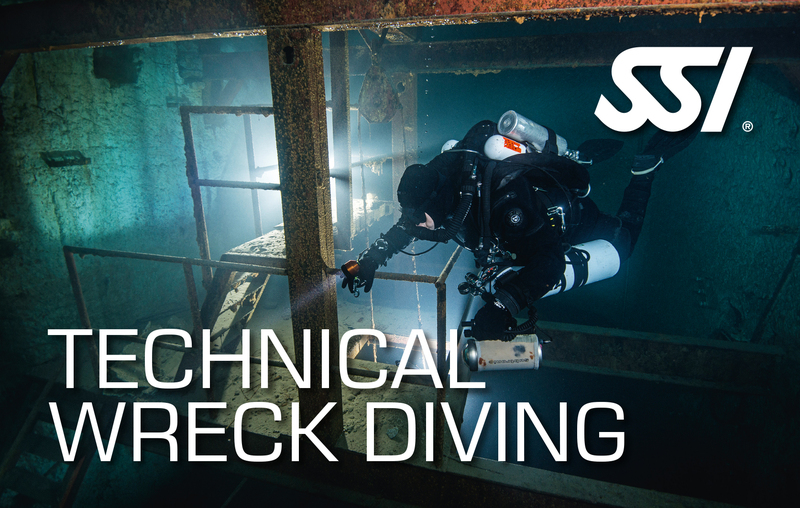 You will earn the SSI Technical Wreck Diving certification after completing this program.